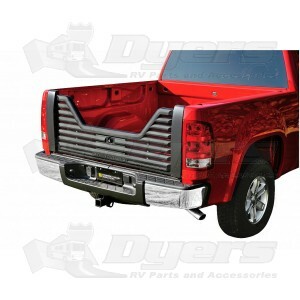 The top ends of the tailgate doesn't match a 2008 F150, the VG 04 4000 is made for the newer trucks that have the flared top of the tailgate. I love the tailgate but the end caps are flared out and you can see the hardware inside. They told me I should have ordered the 100 series, but I didn't like the looks of it. Love the way this one looks on my F150, even though the outside end caps are flared.